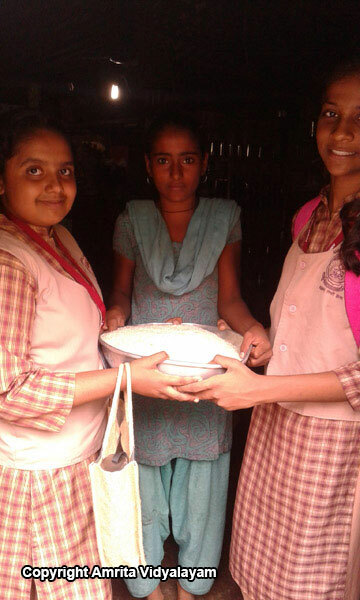 Sevamritham – Students diligently brought a handful of rice every Tuesday. Teachers, along with students visited the adopted families in July. It seems that during the school vacation, members of these families were eagerly waiting for our monthly visits. Students took old clothes and stationery that they had collected during vacation to distribute to the families. It was indeed heart-warming to see the families waiting for the students’ visit. ‘Sealing of Desires’ – Every bit counts. Teachers urge students to give up a small desire. Students from the primary grades are foremost in contributing money towards Sealing of Desire. The money collected will be used in purchasing home essentials for the adopted families. Wealth from Waste – Cloth bags were stitched by students of classes VI and VII; a total of 16 bags were stitched during the months of June and July. Bhootayajnam – Students from pre-primary to Std. II bring grains like rice, millet, jawar, etc. to feed birds. As they were attuned to this last year, they do not need to be reminded to bring the grains. 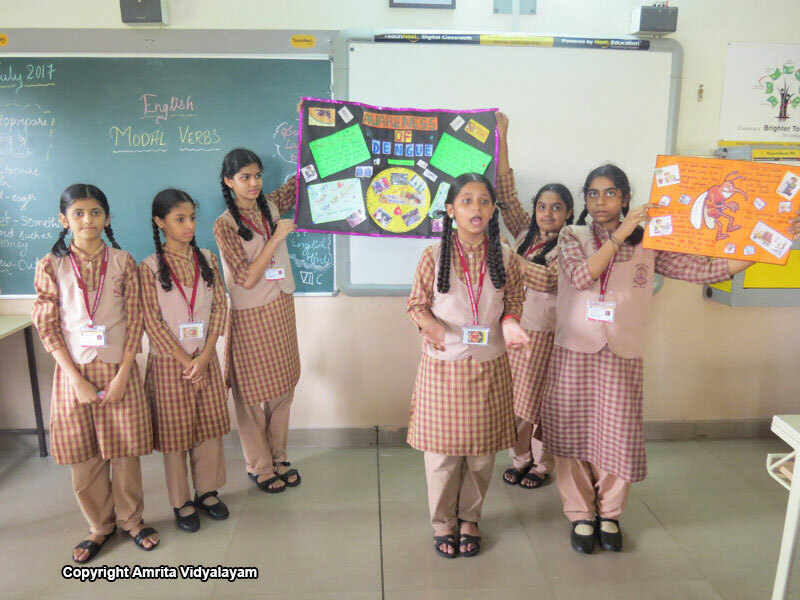 Grihamritam – With the help of catchy slogans and colourful charts, young students from 5th to 7th grades carried out a “No more mosquitoes” drive in June. 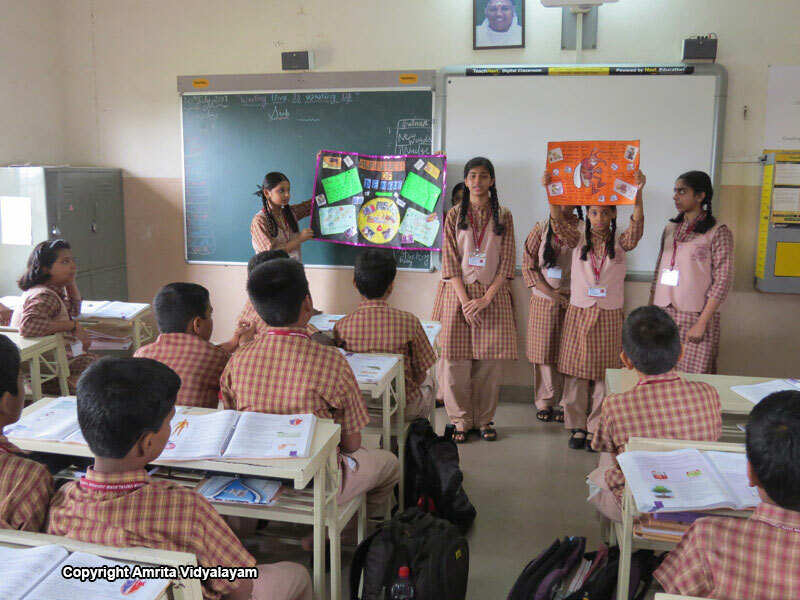 They went to each class and explained simple rules that can be followed by all households and housing societies to eliminate the menace of mosquito breeding. 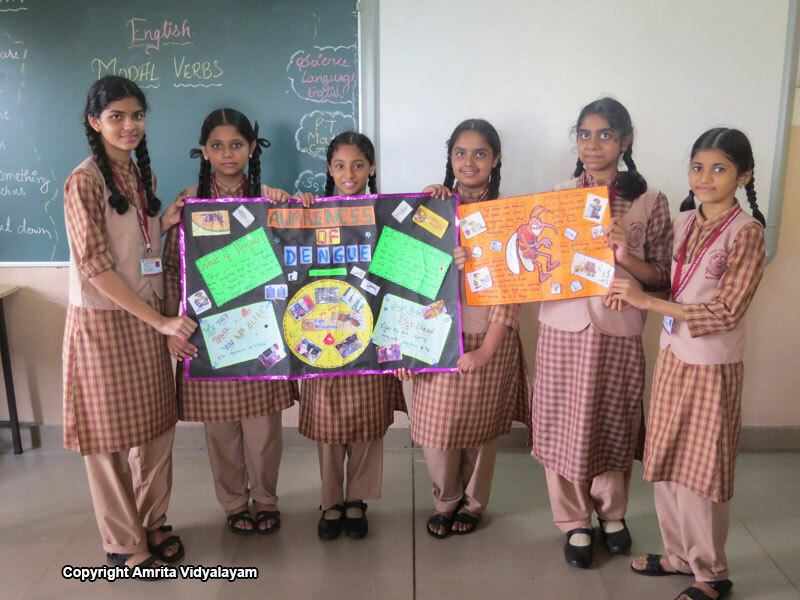 July month was dedicated to Matru Puja and students came up with beautiful handmade cards to express their love towards their Mother – their first guru. Snehamritham – Students are eagerly looking forward to celebrating their birthdays as their names are announced during the school assembly. 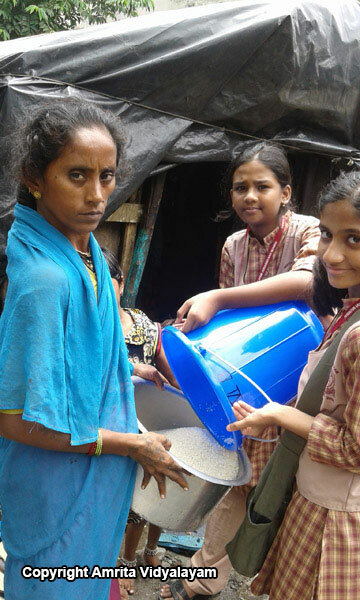 They also take this opportunity to donate rice, clothes, stationery and money. 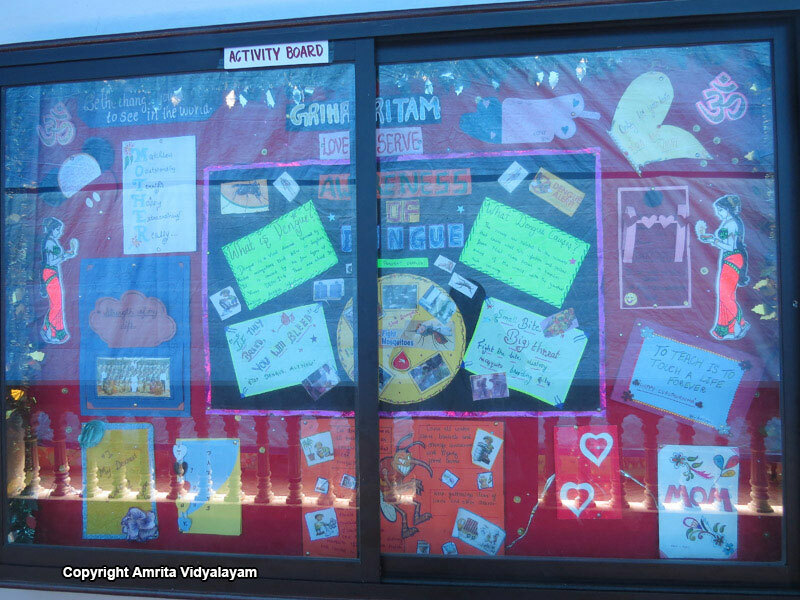 Not only students, but teachers also contribute wholeheartedly towards the Amritam Projects.